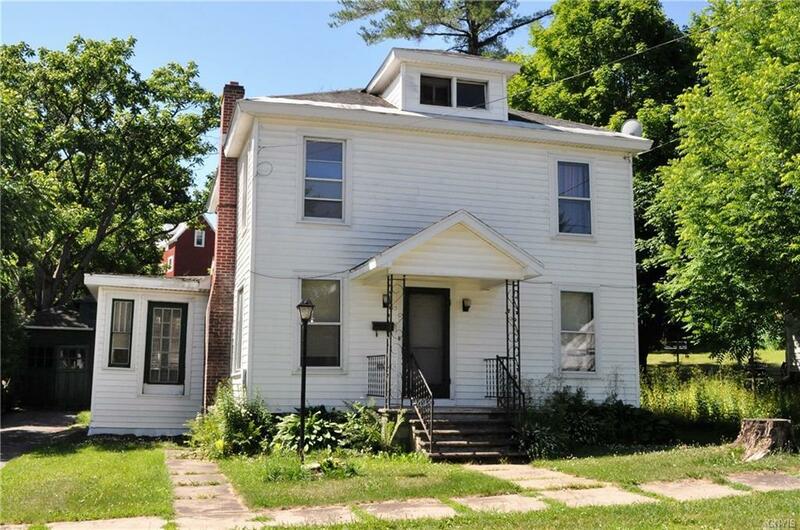 Charming 3 bedroom, 1.1 bath home located on a quiet dead end street in the village of Lowville. Living room has hardwood floors and wood burning fireplace. Spacious dining room with French doors that lead to a sun porch. Plenty of storage space in the eat-in kitchen. Mud room off the back of the house has a half bath and room for laundry. Upstairs your find 3 bedrooms and a full bath. There is 2 car detached garage and a patio, nice sized backyard. Natural gas Furnace, updated electrical and new asphalt roof in 2017. Within walking distant to downtown, school and stores.